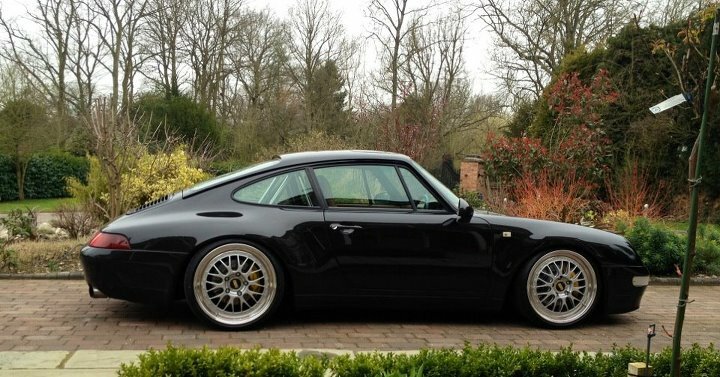 Of course, everyone’s definition of perfect is different, but for me a Porsche 993 Carrera with a roll cage and dropped on rare BBS motorsports wheels is perfect in every way. You have many options with this car now-a-days with RWB and of course the oem GT3/2 body cladding. But as a person who likes simplistic design sometimes simple is better. Of course if I had to choose between the two I would be driving home a RWB 993 but it’s because it’s probably the sickest thing on the road. But as far as oem, you just can’t get any better then a stock bodied 993. It’s just beautiful, and more importantly, timeless.